Scottsdale Computer Repair Service has been providing mobile computer repair in Scottsdale, AZ and the greater Phoenix Metro Area since 1999. "Mobile computer repair" means we come to you, to your home or business, to resolve all your computer issues. Why not use the #1 rated computer repair company in Scottsdale? "Terrific job. Timely, very knowledgable, and very efficient. Highly recommend." "Very happy with the service and not having to take the comp out to someone. A++"
"Thank you for looking at the Bosses PC, they need to hear it from a expert sometime, hope to continue to keep you for our tech needs." "Simple fix expertly explained by Technician Chris! Will ABSOLUTELY recommend to all my friends, family and co workers." 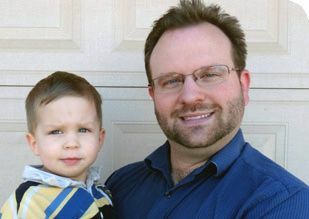 "Our computers contain sensitive information and Rob was great with it. I'd hire him again in a second. Don't lose him!" We were founded by Matt and Jane Karls. Matt is an Electrical Engineer and a Computer Systems Engineer. We are a family owned computer company focused on service and quality, all our work is guaranteed. If you have any computer, technology or IT problem we can fix it. We have been performing computer repair in Scottsdale full time since 1999. We have serviced Scottsdale and the greater Phoenix metro area for over a decade. 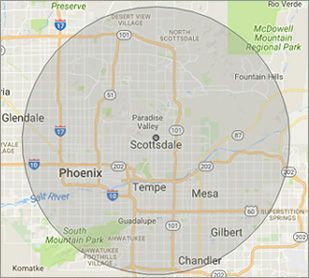 Our primary mobile service area includes Scottsdale, Paradise Valley, Fountain hills and most of the East Valley portion of the Phoenix metropolitan area. We provide mobile service to Paradise Valley, Fountain Hills, Phoenix, Tempe, Chandler, Mesa, Gilbert, Queen Creek and San Tan Valley. Our mission is to fully resolve your computer problems quickly and affordably. If you want a Computer Engineer that can fix all of your computer problems instead of a computer geek that can only fix some of your problems; call us at (480) 240-2960. "So my laptop goes on the fritz at the worst possible moment. I called and Rod arrived within a few hours and was able to get it working better than new. Thank you so much!" "These guys come out to your house and fix your computer at a reasonable rate. What else could you ask for? Amazing Service"
"Matt removed a virus from my laptop in less than an hour. He did a great job and was very easy to work with. A+ all around." "Very polite, prompt and professional. My experience was wonderful."